This year, the biennial fills not only three floors of the museum but also much of the Park Avenue Armory. Below, explore an overview of the exhibition, or look at 360-degree panoramic photographs of the third floor, fourth floor and an installation. Audio narration is by Holland Cotter, an art critic for The Times. 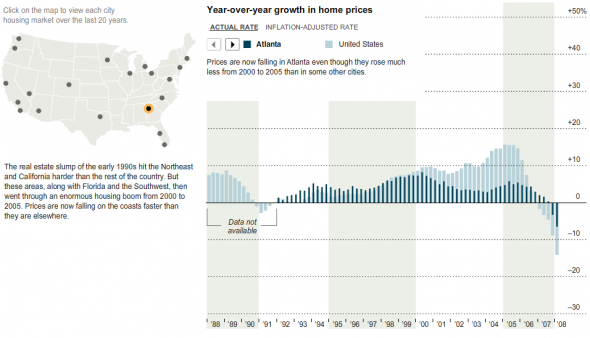 Compare local real estate markets to the national median. 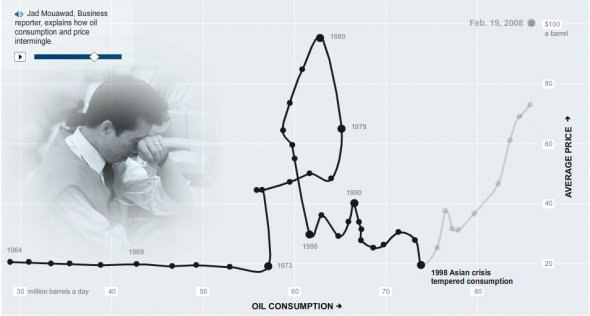 The interactive graphics show the relationship between oil price and oil consumption for the last three decades. An interactive feature that show super bowl ads categorized by industry for more than two decades. 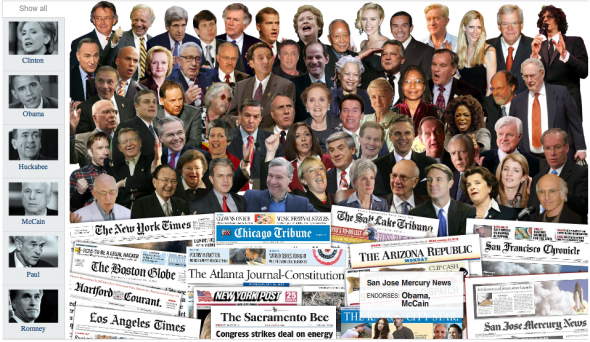 The interactive feature is a collage of politicians, ex-politicians, celebrities and newspaper opinion pages. 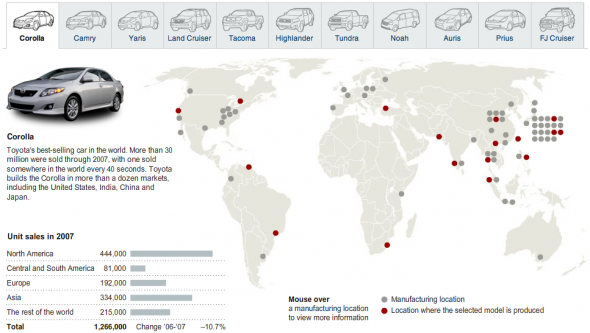 Mouse over to view which presidential candidate they endorse. 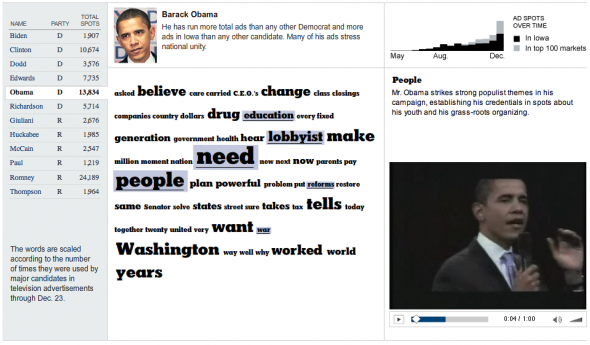 The tag cloud interactive shows the most common words used in presidential candidates ads.